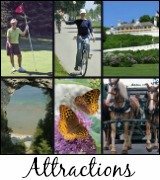 The Lilac Festival Mackinac Island offers ten fun-filled days of activities. 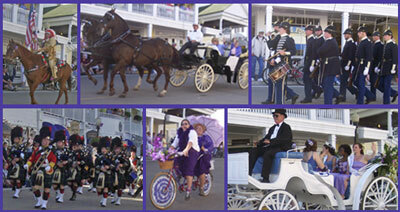 An Island tradition since 1949, the ten-day Lilac Festival Mackinac Island runs from June 7 through June 16, 2013. There is a mixture of events, entertainment, tours, art, music, and contests that culminates with the Grand Parade on the 16th. Keep reading to see all the fun filled events! Click for highlights of the Grand Parade Day, and read about the "HOT TIP" for the 2012 Parade! Throughout the ten-day festival you can experience such things as artists painting, wine and beer tastings, afternoon teas at the Grand Hotel, and walking tours related to nature, architecture or lilacs. There is nightly entertainment from Stu Stuart’s comedy show to music at Gate House, Horns Bar, Mustang Lounge, Patrick Sinclair’s Irish Pub, Pink Pony, and Lilac Tree Hotel. Many Lilac Festival scheduled events are listed below. The Lilac Festival Mackinac Island 10-K race starts at 9:30 in the morning on June 8 at Windermere Point which is near the Iroquois Hotel and the Windermere Hotel. It is followed by the Lil Lilac Run/Walk which starts at 11:00. There is a $25 cost per person to participate in this event. Click here to find out more about this fantastic 10K Race. Later that day, 7:30 pm, watch Country Line Dancing on Market Street performed by the West Michigan Bootscooters. Governor’s Summer Residence between 9:30 and 11:30 on the morning of June 12. It is a great chance to enjoy the fabulous one of a kind view from the large porch. 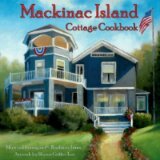 The Taste of Mackinac is a showcase for Island chefs on June 13. 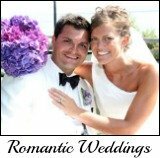 It is at the Harbour View Inn starting at 11:30 a.m. This very popular event features great food, beer, wine, and soft-drinks. Purchase tickets in advance at the Tourism Bureau on Main Street. $15 per person. Don’t miss it! Enjoy a Feast of Epona Blessing of the Animals on June 14th at Mission Hill Stable. 1:00pm June 16th - Get ready to laugh while watching the Epona and Barkus Parade which starts at the Mackinac Island School and proceeds along the boardwalk ending at Windermere Point. This parade will bring a smile to young and old alike. The Annual Mackinac Island Dog and Pony Show is at Windermere Point at 1:30 pm . 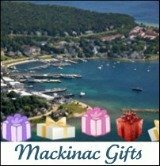 It is presented by the Mackinac Island Dog & Pony Club and is great fun for young and old alike. Sunday, June 16 features Music in Marquette Park starting at 2:00pm. Enjoy pipe bands and the Scottville Clown Band. What a fun prelude to the parade! The Horse-drawn Grand Parade starts at 4:00 pm and travels down Main Street from east to west. Don "The Duck" Andress, a direct descendant of Chief Mackinac, leads this legendary parade. The popularity of the Lilac Festival Mackinac Island increases yearly, and for good reason. It just keeps getting better and better. 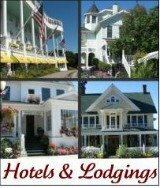 You too can be part of the fun by staying at one of the Island Hotels, Bed & Breakfasts, or other Mackinac Island lodgings. Don't delay! Make your reservations early to get your first choice of accommodations. 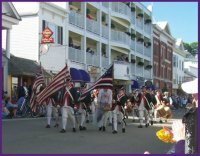 The Grand Parade is the highlight of the Lilac Festival Mackinac Island. Find a place along the route early and catch all the action! You’ll be glad you did. Marcia and Kathy join friends and family at the same spot every year. We love the parade! 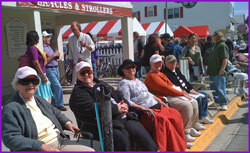 Return to Home Page from "Lilac Festival Mackinac Island"